A St. Louis man who failed to stop for a red light at an intersection in Berkeley crashed into another vehicle and died on Wednesday, May 29. The Missouri Highway Patrol and a local fire department emergency response team responded to the scene of the fatal car accident in Berkeley around 9:20 p.m. According to preliminary police reports, the driver of a 2005 Chevrolet Tahoe was headed southbound on Evergreen Boulevard when he failed to stop for a red light at the intersection of Airport Road. The driver, who has been identified as 29-year-old Leroy Jennings of St. Louis, crashed into an eastbound 2007 BMW X3 that had right of way at the intersection. The driver of the BMW was identified as Britteny Spencer, age 23 and a resident of Brentwood. The front of Spencer's car collided with the passenger side door of Jenning's car in the middle of the intersection. Jennings, who was not wearing a seat belt at the time of the accident, died in the crash. Spencer was transported to Depaul Hospital in Bridgeton for treatment of minor injuries. Jennings' passenger, 34-year-old Lawrence A. Woods of St. Louis, was rushed to Barnes-Jewish Hospital for treatment of injuries that were considered serious. 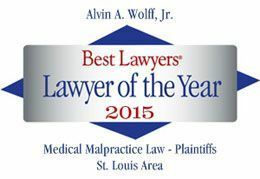 The St. Louis car crash attorneys of Alvin Wolff express our sympathies to the family and friends of Mr. Jennings and hope for a speedy recovery for the two people who were injured in the crash.